The Apple store isn’t just for buying cables and adapters, visiting the Genius Bar, or checking your email on the iPads while your friend or loved one buys cables or adapters. Apple does a lot of educational programs for customers of all ages, and as of Thursday, registration is open for the popular Hour of Code workshops. These will take place the week of December 5, running from that Monday through Sunday, December 11, at all 487 Apple stores worldwide (except the “company store” at 1 Infinite Loop in Cupertino). You can sign up for the free workshops by finding a nearby store here, and then picking a free time, and signing in with an Apple ID to complete the registration. Hour of Code is for kids and parents who have used the iPad before but don’t have coding experience. They’ll learn the basics using Code.org’s programming tutorials, and the Swift Playgrounds app for iPad will be used in some locations as well. Swift Playgrounds is getting a Learn to Code 3 lesson pack and Hour of Code challenge. Swift Playgrounds is even getting a new Hour of Code challenge, which means that classrooms who are using the free Swift Playgrounds app on school iPads can get in on Hour of Code, as well as anyone who can’t make it to an Apple Store for one of the live workshops. Kids get a certificate after participating in Hour of Code at the Apple Store. Aside from the Hour of Code challenge, Swift Playgrounds is being updated with a new Learn to Code 3 set of lessons (building on the two sets already in the app), as well as a companion teacher guide. Apple is supporting teachers who want to bring Hour of Code into their classrooms with a facilitator guide (PDF) that has everything you need to host a successful event. 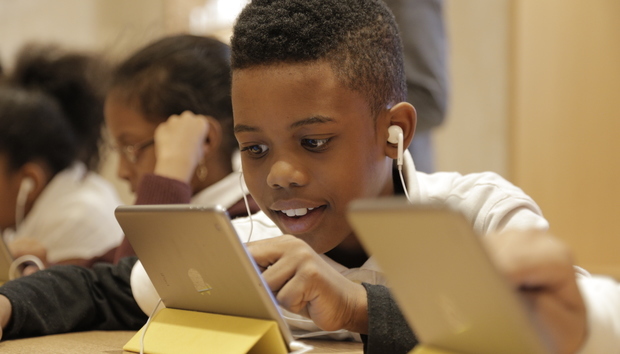 For more details on Hour of Code, and the rest of the classes and workshops offered at the Apple store, visit apple.com/retail.